Meet the Alpha Moms, headed by Amanda (Lucy Punch), very much the queen bee. Everything is organised, clean and sparkly - even the kitchen cork board is a statement of success. 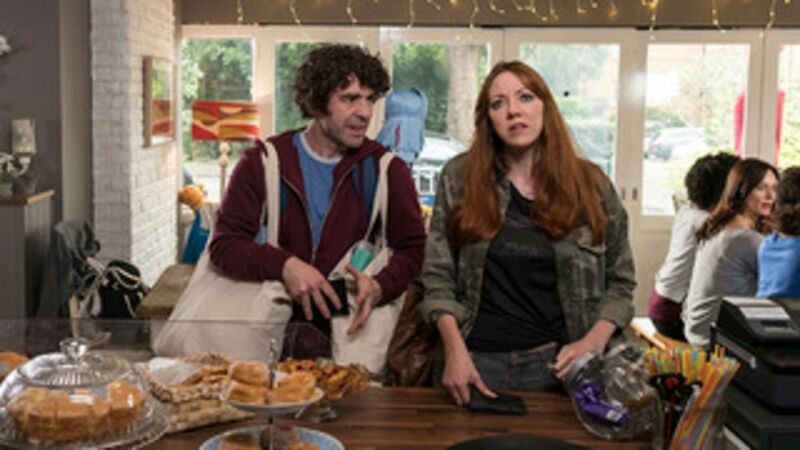 At the other end of the spectrum, we meet Liz (Diane Morgan), who is totally chaotic and feels the kids should enjoy free expression - if they want to do kamikaze jumps of the sofa, she drags a mattress round for safety. Somewhere between Amanda and Liz is Julia (Anna Maxwell Martin) - she is organised - she has to be as she is a successful events organiser - but when her mother Marion (Ellie Haddington) decides she is no longer going to be the free child-sitter and school-run taxi, Julia finds her organisation skills are taxed and nowhere near the level of the Alpha Moms. 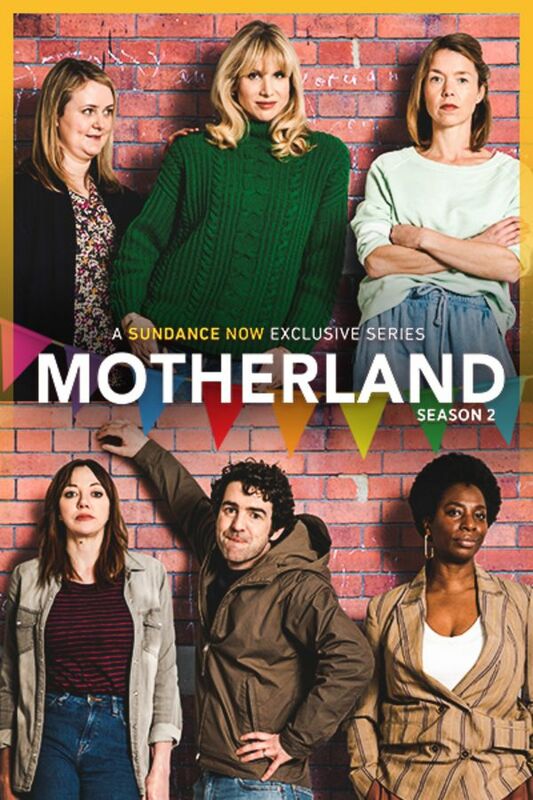 Also in the mix is Kevin (Paul Ready) - he is the stay-at-home dad, who, rather than fighting against that, is embracing it with gusto - much to the irritation of the other mums. Julia struggles without her mother’s help as she tries to juggle work and parenting. She attempts to get in with the alpha moms, but instead finds herself trapped in a world of chaos. Julia throws a birthday party for Ivy, but with her mom refusing to help, Julia must rely on Liz and Kevin’s party skills along with her own event-organizing savvy to make it a success. Julia gets involved in a school fundraiser, where she hopes to impress a former colleague. Kevin has a battle with the cloakroom, and despite Anne’s protests, Liz takes care of the bar. A pool party ruins Julia’s plans right before an important event at work. Liz looks for a date, and Kevin gets annoyed by a new dad on the scene, who goes way back with Amanda. Julia’s in-laws arrive to help while her husband Paul is away. Luckily, Kevin is around and loves old people. Amanda reluctantly gives Liz her old coat, which has a surprising effect on Liz. Anne’s carpool propels her into the limelight. Kevin finds himself in the role of confidant for Amanda, who shares a deep secret with him. Liz and Julia’s friendship teeters on the brink. Julia’s childcare woes are over when she finds the perfect nanny, but her friendship with Liz becomes strained. Amanda keeps a low profile after Kevin blurts out her secret. Binge Watched it all in one night! Great writing. Gotta love the BBC. 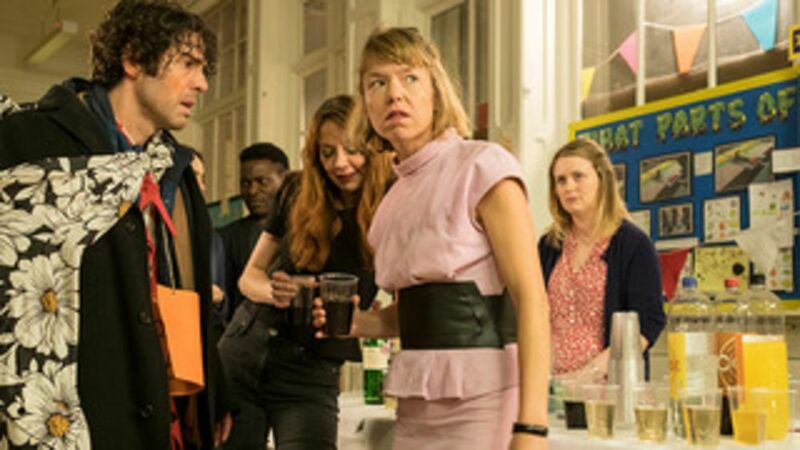 Anna Maxwell Martin has great comedic charm. A fun show to watch. Only thing I’d recommend is Julia’s husband gets written out of the show. He’s a non-entity and his selfishness by staying away from his family is glaring. He doesn’t add to the show, so why keep him? Looking forward to Season 2. ANNA MAXWELL MARTIN’s character, Julia, tends to be overdramatic, but at the same time this actress has comedic talent. It would have been better to have her character be widowed as her selfish and completely self-absorbed husband (with the same repetitive script), is boring and not believable. His character is absurd. Kill him off. Trump reference was a cheap shot. Wasn’t necessary.